The absence of any women on the Forbes Worlds highest-paid athletes list is a black mirror to the problem of gender discrimination at work, but only if we choose to see it. The Forbes 2018 list of the ‘highest-paid athletes in the world’ could be easily renamed the ‘100 highest-paid male athletes in the world’ – as there was not even a single woman sportsperson on the list. This year was not an exception –there are hardly any women names which grace this annual list (except maybe one or two in the previous years). The reason this should not be ignored as ‘just-another-fact-from-the-sporting-world’.This is because this list reflects gender discrimination at a workplace – be it a corporate office in a business park, or a locker room in any stadium. The most glaring parallel is the wage discrimination. The fact that the share of women in the 100 highest-paid athletes list is 0% in the year 2018 highlights the persistent wage gap between men and women professionals. The 100 top-paid male athletes collectively made $3.8 billion, while women were non-existent in the list. When you look at the number of billionaires in the world, 256 women make the Forbes list against 1952 men. Not just that, the average hourly wage of a woman is INR 259.8, as compared to INR 345.8 of a man’s – this gap is more than the minimum wage daily laborers earn to sustain their families. For the sake of argument, even if we consider the rationale of detractors that most women sports aren’t as commercial as men’s yet, which is the reason behind the gap – one only needs to head to the lush greens in the Centre Court in London which is about to host Wimbledon. The women’s matches are as big a commercial success as men’s, but it took almost 4 decades to achieve pay parity in prize money since Billie Jean King started advocating for pay parity in sports in the 1970s. But outside of the major tournaments, a disparity exists. This, unfortunately, is a reflection of the reality that women still get paid less for the same work as men do. 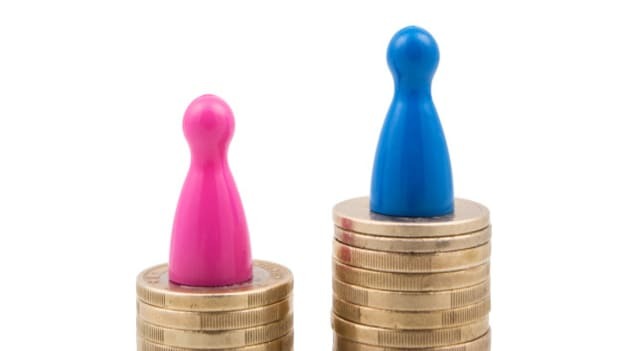 A recent legislation passed in the UK requires employers to report the disparities in compensation statistics of men and women. Unpredictably, in most of the companies, the highest earners were mostly men, the average wage of men was much more than women (even in the companies where the number of women is same or more than men). When we start with sports and think of women athletes, we can only name a handful – possibly the ones who are playing individual sports like badminton, tennis or wrestling who fight their battles on the pitch (the PV Sindhus) and even off the pitch (the Sania Mirzas); some veterans who have been in the game for a long time (MithaliRajs, JhulanGoswamis); or some superstars who burst onto the scene with breath-taking performances (Harmanpreet’s 171* in 115 balls against Australia). The primary reason that many aren’t known because there aren’t many anyway. The roster of Chelsea Football Club’s Ladies, this season’s champions has 17 players. In comparison, Chelsea FC (the men’s team) has 39 players out on loan to other clubs itself. The representation, visibly, is less. The workplace has a similar situation, where for every 1 female employee, there are 3 male employees. This problem is the core of the median wage gap between men and women. The percentage of women who enter work after their education dropped to 27%. Not only is the number of women at work less. It keeps dropping every step of the way after women start work. The number of women keeps dropping every stage of the way, particularly in India. The enrolment for primary education is 100%, but it drops down to 46% in higher education. The drop is further at work which eventually results in just 1 woman left in a boardroom which has 10 men. Not only are women cricketers less in India, the governing body, BCCI, has no women. Women’s cricket may have been a new phenomenon if we are looking for reasons for this. But then again, look at workplaces which traditionally employ a lot of women. The only woman who has managed to feature fairly regularly in the Forbes list is Serena Williams. She has been a welcome face on the list for some years – one of the few symbols of diversity, or rather a reminder of a lack of diversity. For her to feature at the middle of the list in 2017, she had to win a record 23 grand slams. Serena – an icon of gender equality, a powerful woman who won a grand slam while 5-weeks pregnant and returned to the court less than a year after giving birth – could not be a part of the list after her maternity break. How true is this for women – even strong-willed, powerful and really skilled employees have to face consequences at a professional level during childbirth? The maternity law may have allowed them long paid leave days, but that does not change the fact that their career takes a hit after maternity. A recent report by TeamLease Services has, in fact, said a long maternity leave may be counterintuitive and lead to 11 lakh to 18 lakh job losses in FY18-19 across 10 sectors. Then there is the challenge of restarting their careers for women who take career breaks due to maternity. Every woman must aspire to be a Serena, but not everyone can be. The arguments around gender discrimination keep repeating – but it is important to keep repeating them as reminders continue to pop up – in the form of lists, reports, or studies. Reminding oneself that a problem exists and internalizing its severity is the first step in the journey of actually solving it. NEXT STORY: Are we building the CHRO pipeline for the VUCA world?